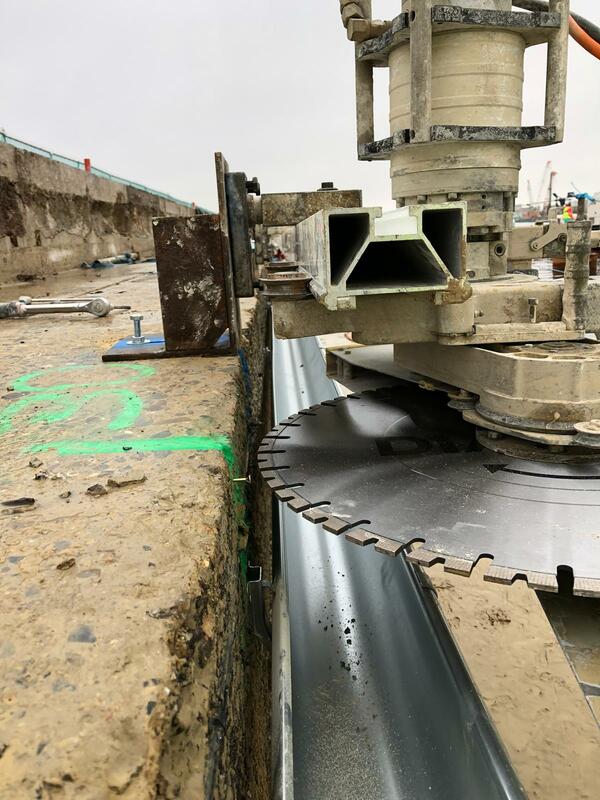 Our track mounted saws feature a diamond blade that can create a clean and sharp cut to create openings in walls or floors for staircases, doorways, etc. The track is safely mounted to the wall and then the diamond blade saw moves to and fro until the desired cut is achieved. Track saws are quite useful when you need to demolish a particular area of the structure, instead of the entire structure. They make an ideal choice when a steep incline or wall doesn’t allow use of floor saws. 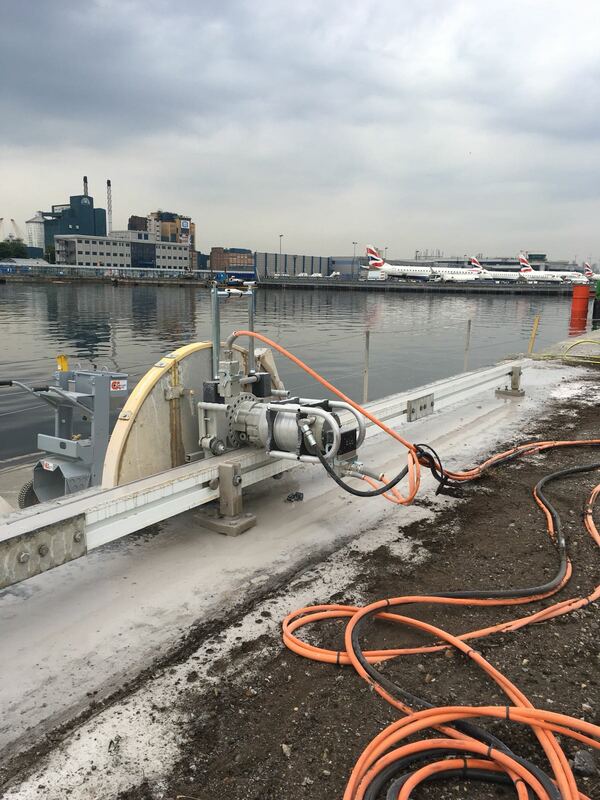 While typically used for making openings for doors, windows and vents, track saws can be used to remove any size of the section in any concrete structure. These saws are operated remotely, thus reduces the safety risk for the operator. And can cut up to 750mm in depth. In addition to concrete, track saws are ideal for cutting through masonry, block work and other materials. Here at CA Drillers, we have a dedicated team of skilled and experienced track sawing professionals. We specialise in offering diamond track sawing services. We have a large number of custom-designed track saws suitable for a host of applications. We have a perfect equipment to create openings, take out large sections and perform any other cutting job required for your project. When you hire our diamond sawing services, we assure of the workmanship of the best industry standards. We ensure equal attention to every project we undertake, regardless of its size. Our track sawing experts are here to provide you with all necessary guidance and recommend the most efficient solution of the time. We ensure you get the best value for money. Get in touch with us today.